KXD type clip core board line equipment can make the profile compound board. 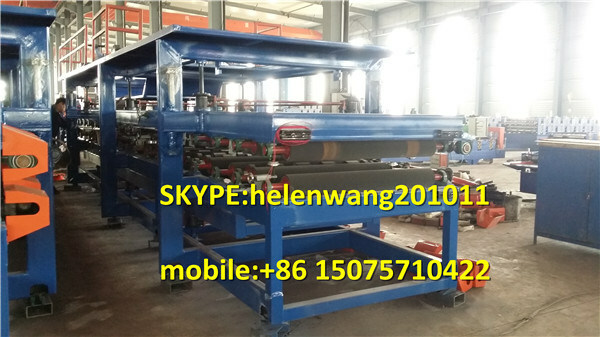 The whole line is composed of uncoiler, maing forming machine, cutting device and compound system (pressedrib, pasting, worming, compounding, turningedge, slotting, edging, pneumatic, auto-cutting). 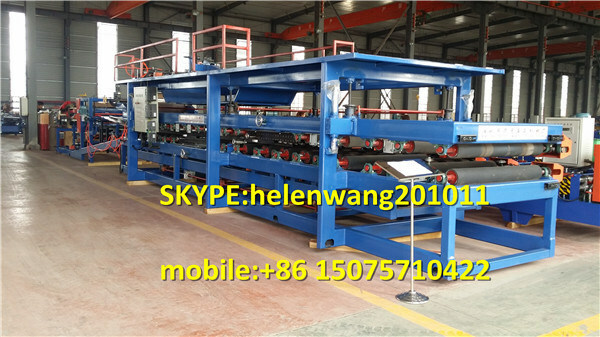 Â Â The whole process is controlled by computer, and it is the indispensable equipment to the workshop and the factory which producing the roof board and wall board. The whole producing line adopt advanced technic which put air, electric, machinery into one device. 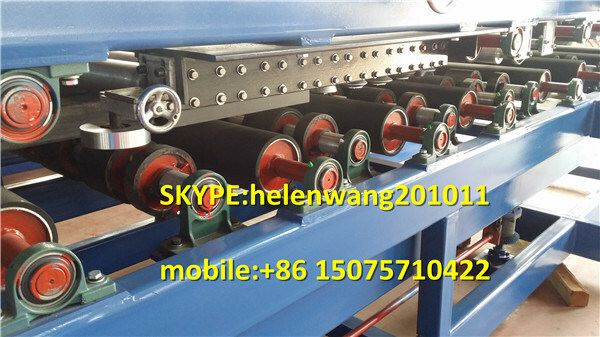 It is aÂ special machinery to produce the colored steel clip core. 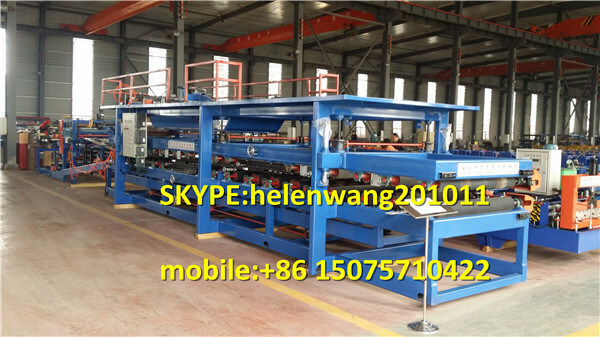 This machine adopts the CNC electrodeless to adjust the speed and make it runs stable. It is also very easy to operate. To meet customer's requirment, this system controls length by computer. This system adopts aÂ precise location and shows time on the touch screen. The time is account and revise automaticly. 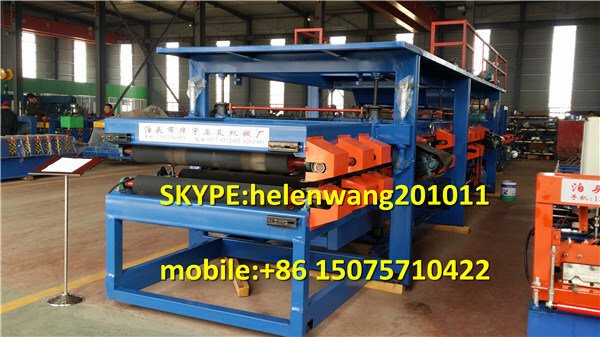 This machine suits for color steel board, aluminium sheet. It is aÂ type of compound material and the inside is flame retardant EPS, mineral wool and exc. The design of the board can be adjusted by the customers' request. Service:Â we send technician to your country to fix the machine.The buyer should bear all the cost including: visa, Roundtrip tickets and suitable accommodation, also buyer should pay salary 60USD/day. Â NOTE: we are capable of designing machine as your drawing and all the plate types can be changed according to your need. Fly to Beijing airport:Â Â Â By high speed train FromÂ Beijing NanÂ toÂ Cangzhou XiÂ (1 hour),then we can pick up you. Fly to Shanghai Airport: By high speed train FromÂ Shanghai HongqiaoÂ Â toÂ Cangzhou Xi(4.5 hours),then we can pick up you. 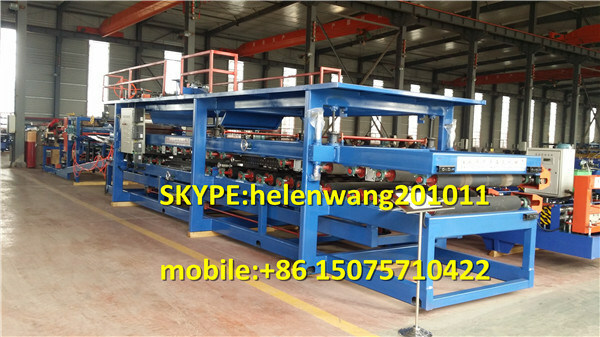 4:If you want to get more pictures or videos of the machines,I can send them to you by Email or SKype. 4) Biogas power generator powered by famous &good quality engine and alternator, such as Cummins, Deutz. 7) High profit of Biogas Generator: low operation&maintenance cost, supply of electricity and thermal power at the same time. 8) Biogas power generator coupled with brushless alternators of Leroy Somer /Stamford/ Marathon, etc. Generator set included: Gas Engine, Brushless Alternator, Radiator, self-starting control panel, circuit breaker panel, Vibration damping pads, Hi-strength base frame .